muscle-spongebob. . HD Wallpaper and background images in the Spongebob club tagged: photo. 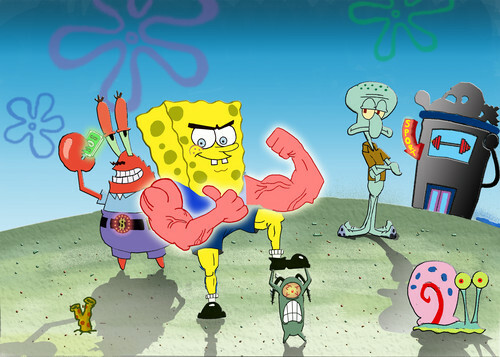 This Spongebob wallpaper might contain anime, comic, manga, cartoon, comic buch, karikatur, and comics. Patrick star, sterne from the Episode "Planet of the Jellyfish"
Im ready to party, are Du ready to party? Lyrics for the Song in "To Liebe A Patty"